Apple Watch Series 3 aluminum models in various colours are currently on sale at The Source, as both 38mm and 42mm versions are available for $50 off. These are Wi-Fi models and not cellular versions. Apple is rumoured to announce an Apple Watch refresh this fall, so it appears price drops are happening to sell inventory at authorized retailers. 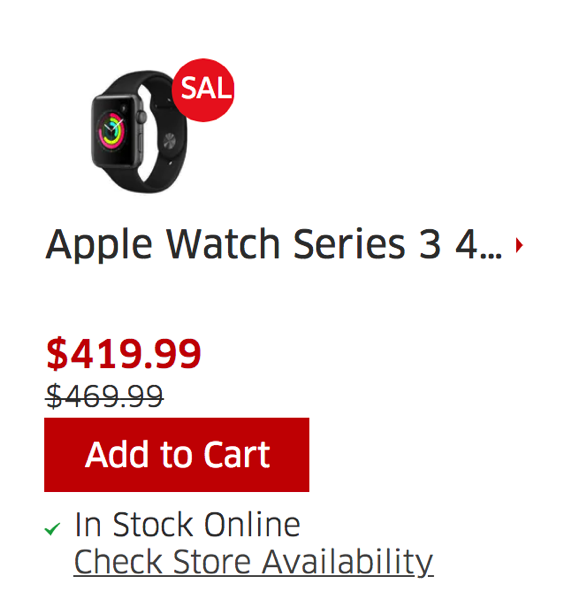 If you’ve been waiting to pick up a Series 3 Apple Watch, this is a warm deal, but you could also pick a refurb Series 2 from Apple.ca for cheaper, or wait for Series 3 refurbs to eventually pop up online too.